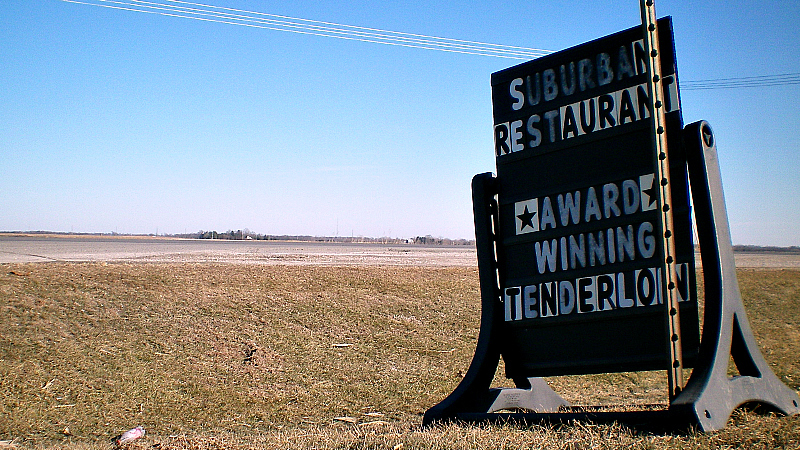 Location: 17029 Highway 69 North in Gilbert, just north of Ames in Central Iowa. 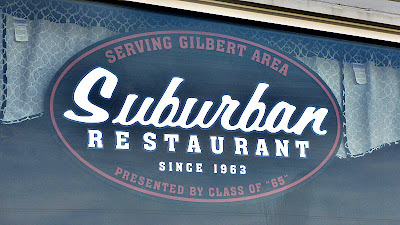 Directions: You can take Grand Ave. north from the mall in Ames, and come from Highway 69 to Gilbert Corner just outside Gilbert. Online at: Looks like their website is down, but their Facebook page is HERE for now. 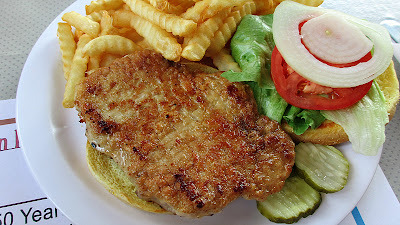 The Grilled Tenderloin: This is the winner of the 2004 IPPA Grilled Pork Tenderloin Sandwich Contest, the only year where the contest was about grilled tenderloins. 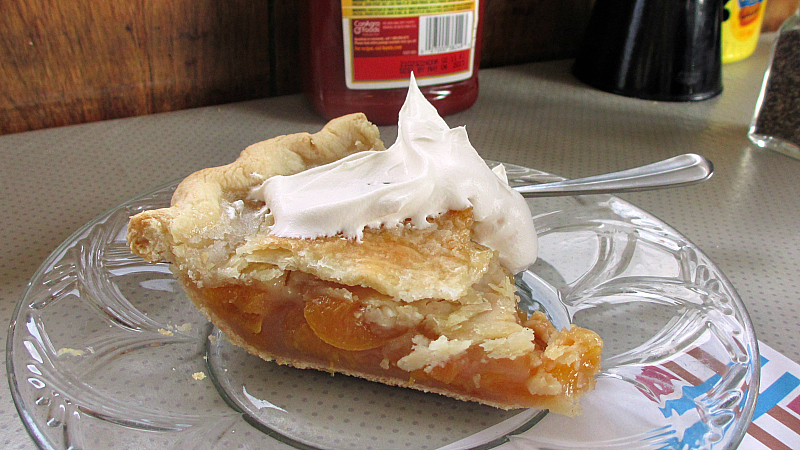 This had a great light brown color from the grill and just a pinch of seasoning on the surface. 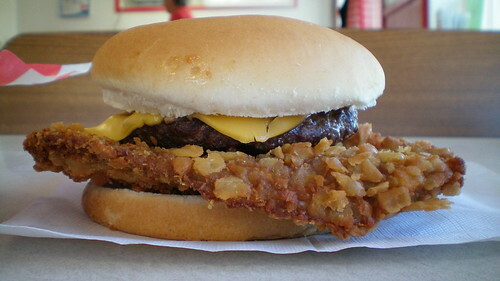 The fat wasn't completely trimmed on mine, but the tenderizing had mad a nice chewy texture. Served on a toasted bun with all the fixins. 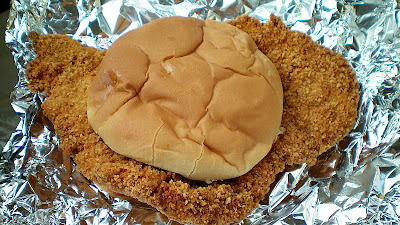 The Breaded Tenderloin: What set this breaded tenderloin apart was the layer upon layer of crunchy textured breading. 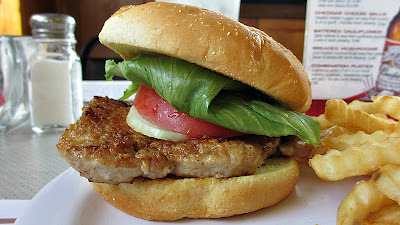 The pork loin meat was always bright white on the inside, cut and trimmed well but not especially juicy. 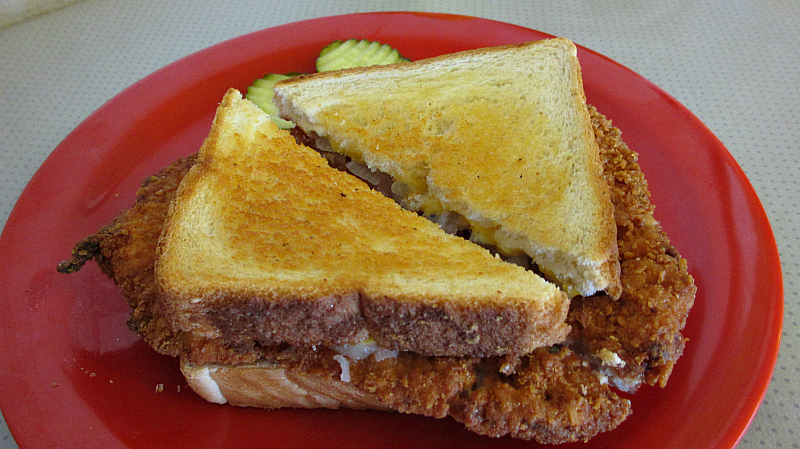 The Tenderloin Melt: This was served in toasted white bread with grilled onions and melted cheese. I've had melted sandwiches with breaded pork tenderloins in a couple places and I don't think it adds much to the product. Price: $8.50 for the grilled loin, and $9.50 for the breaded loin each with a side. 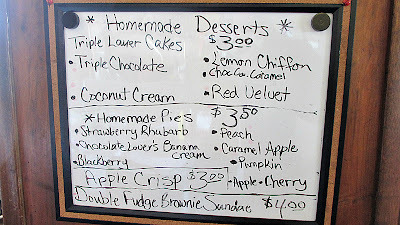 Service: Its table service with attentive staff and a counter to pay next to the front door. 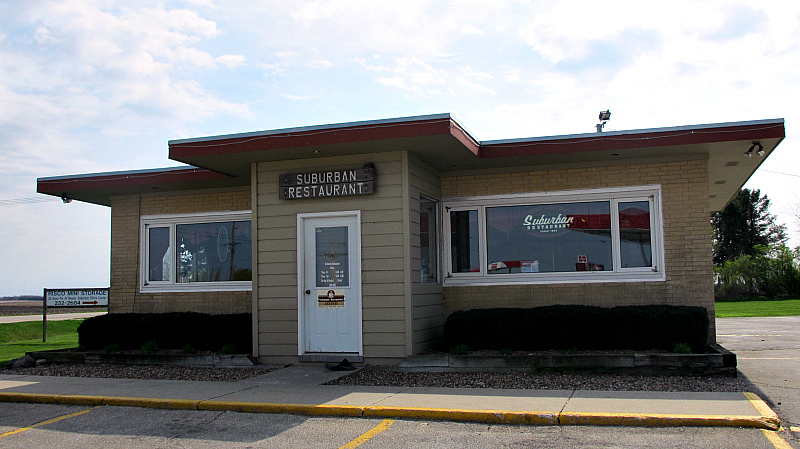 Ambiance: The building is an classic roadside cafe. The old lights and unique fixtures add to the atmosphere and family photos cover the walls along with antiques and news articles. 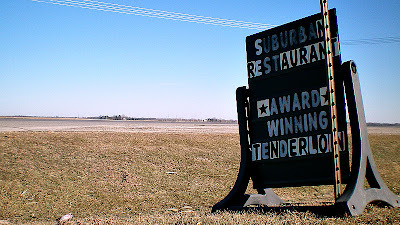 The wide window view of the highway and cornfields was obscured be a neon Budweiser sign. There are tables for seating and it gets crowded in the middle of the day. Final Thoughts: I have to admit I was a little slow in getting around to writing about Suburban Restaurant. 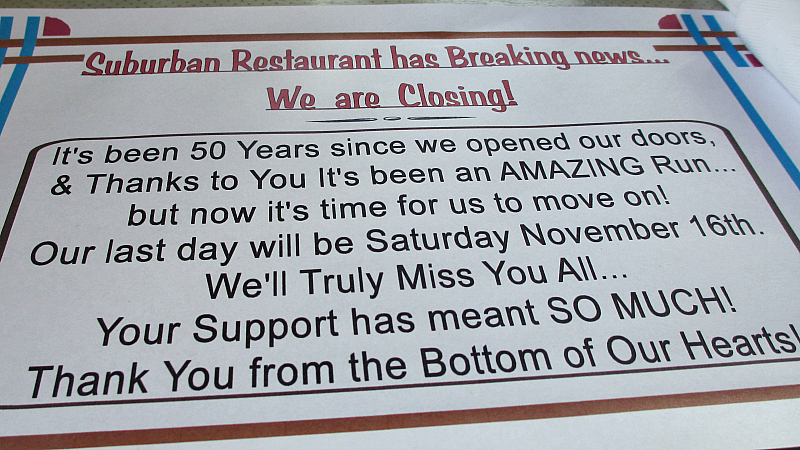 I always seemed to be driving past in the late afternoon when the restaurant was closed. The midday sun always cast some awkward shadows that made the exterior pictures look bad. 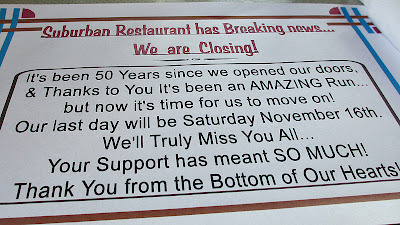 I just didn't get it together until the place had already announced they were closing. Places like this never actually get replaced and they never last forever anyway. Ames has been a consistently tough place for me to find what I am looking for, but I hope to have something new to blog about from Ames soon enough.